FIFA clears Ola Aina to play for Nigeria – Royal Times of Nigeria. 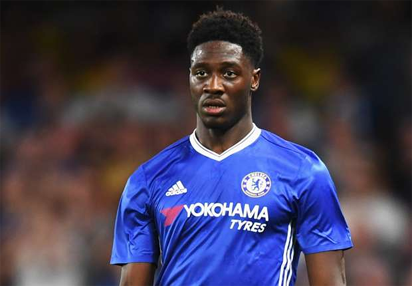 Chelsea defender Ola Aina on loan in Hull City has been given the all clear by world football governing body FIFA to represent Nigeria against the Indomitable Lions of Cameroon when both teams clash in the World Cup 2018 qualifiers. Aina who completed his switch from Chelsea to Hull City on loan applied to switch allegiance from England to Nigeria after representing England at various youth levels. FIFA contacted England to transfer his nationality to Nigeria, but the English FA delayed the process and it cost Aina a spot in the Super Eagles team that lost 0-2 to South Africa in the AFCON 2019 Qualifiers in Uyo. A source privy to information at the Nigeria Football Federation (NFF) disclosed that FIFA have given the green light for Aina to represent Nigeria, if he is called up by coach Gernot Rohr.